Bullough’s Pond is fed by Hammond Brook and Cold Spring Brook, which flow through underground culverts, emerge above ground in the City Hall ponds, and dip underground again beneath Commonwealth Avenue before gushing into Bullough’s Pond at its southwest corner (photo, right). 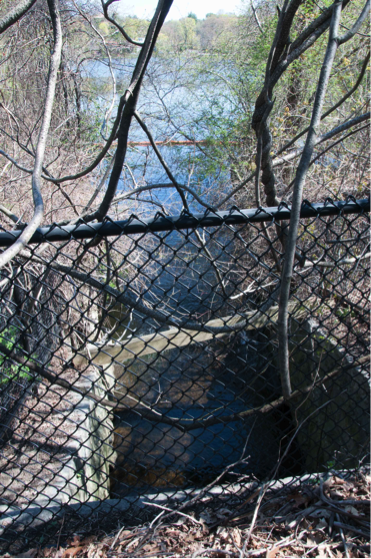 At its northern end, the pond tumbles over the dam at the Dexter Road weir into Laundry Brook, which flows above and underground, until it eventually empties into the Charles River. Brook flowing into Bullough's Pond. Photo by David Klegon. However, Bullough’s Pond is also fed by storm water and street run-off that flows into storm drains like this one next to Bullough’s Pond (photo, right). Anything that’s on paved surfaces around a storm drain can end up in that drain, along with anything that’s purposely dumped into it. 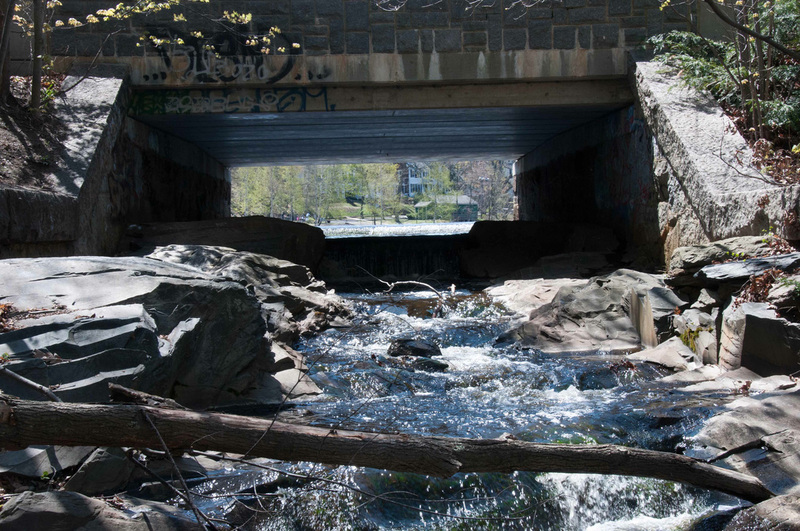 Litter, leaves, sand, salt, pet waste, motor oil, paint, antifreeze, detergents, fertilizers and pesticides – all can, and do, end up in Newton’s storm drains. And unlike dirty water that goes down a household drain to a sewer, water that flows into storm drains isn’t treated or filtered for pollutants. 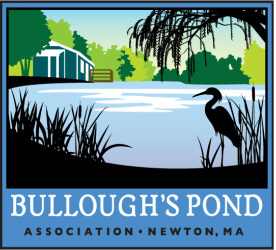 Pollutants pour through storm drains into Bullough’s Pond every day, as they pour into all the other lakes, ponds and streams that make up Newton’s historic waterways, and also serve as Newton’s storm water drainage “system”. 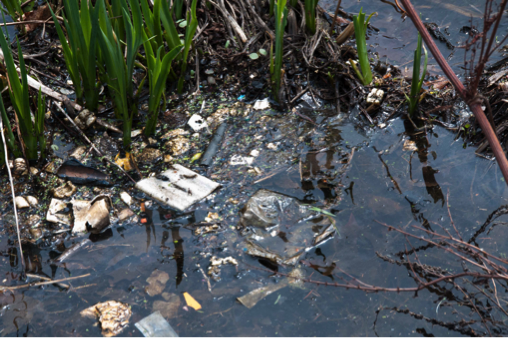 Newton’s waterways carry the contamination into the Charles River and eventually into the sea. The immediate impact is easy to see in Bullough’s Pond, where storm drain pollution degrades water quality, silts up the pond and can result in eutrophication (algae blooms and decreased oxygen in the water) with dire consequences for native plants and wildlife.